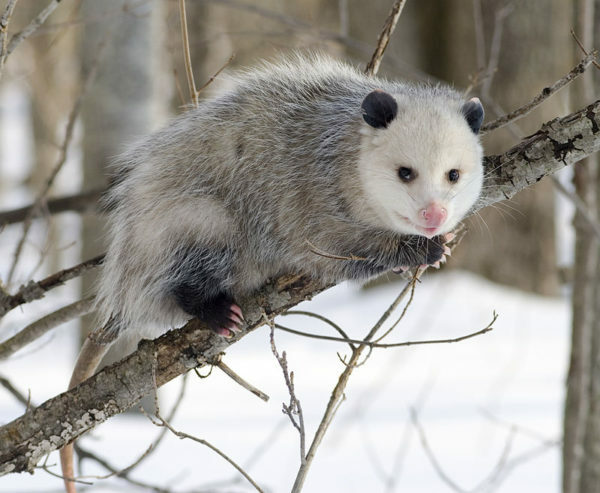 Sometimes possums are said to be ‘ugly’, ‘beady-eyed, or ‘scary’. They might also be perceived as vermin or having no purpose. However, some research has estimated that possums can kill thousands of ticks in a single year, and some of the ticks they kill are the same ones that carry Lyme disease, which obviously impacts humans negatively. The researchers noticed how good possums are at eliminating ticks during an experiment where they exposed about 100 ticks at a time to various small mammals. It was the possums that did the best in eliminating them. “They’re net destroyers of ticks,” one of the researchers explained. When possums are foraging around at night, ticks can get on them, but the possums groom themselves and can swallow about 90% of them. So, rather than being a carrier of a disease, one might consider possums to be somewhat of a reducer of one. About 300,000 cases of Lyme disease are diagnosed each year in the United States, according to one source. Most of the cases occur in the Upper Midwest and Northeast. Blacklegged ticks are in 37 states within the eastern US, and about 45% of US counties. The more rare western blacklegged tick is in 6 states. Lyme disease can be treated effectively with antibiotics if diagnosed early on, but if not it can lead to brain inflammation, nerve pain, and joint stiffness. Rash, fever, chills and fatigue are some of the signs of Lyme disease. Body aches and headaches can occur at the same time as the rash does.